The Online Eligibility Packet will be live for 2018-19 starting June 1st!!! The "Myers Park Ticket To Play" is a packet that must be filled out and submitted online by each player before being eligible to play. 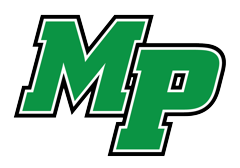 It is often referred to as the Eligibility Packet and can be found online by clicking the banner above titled "Myers Park Ticket To Play". Be sure to fill out the entire packet. It is not considered complete until the entire eligibility packet is complete. The entire eligibility packet must be complete before a student athlete will be allowed to participate in any sport activity. All eligibility paperwork MUST be submitted online by the deadlines listed below in order to be eligible. 2 Proofs of Residency must be uploaded as well. ONLY physicals will be accepted in hand on paper! Please let us know if you have any questions! Winter Sports Season- Ticket to Play deadline- October 15, 2018. **MULTI-SPORT ATHLETES ONLY REGISTER ONE TIME FOR THE 2018-19 ATHLETIC YEAR. PLEASE SELECT ALL SPORTS YOU PLAN TO TRYOUT/PARTICIPATE ON. 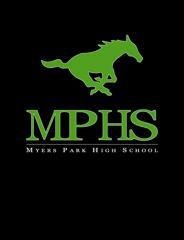 Just click on the MYERS PARK TICKET TO PLAY banner. Contact your coach with any additional questions.